The Digital Research Library of Illinois History Journal™: One Man's Story of "Indian-Hating" in the Illinois Country Frontier. One Man's Story of "Indian-Hating" in the Illinois Country Frontier. As more settlers filtered into the Illinois Country in the years after the Revolutionary War, the local tribes cast a suspicious eye on these newcomers. Sometimes, this tension erupted into violence, violence that hardened and scarred many an early settler. Here's one man's story. 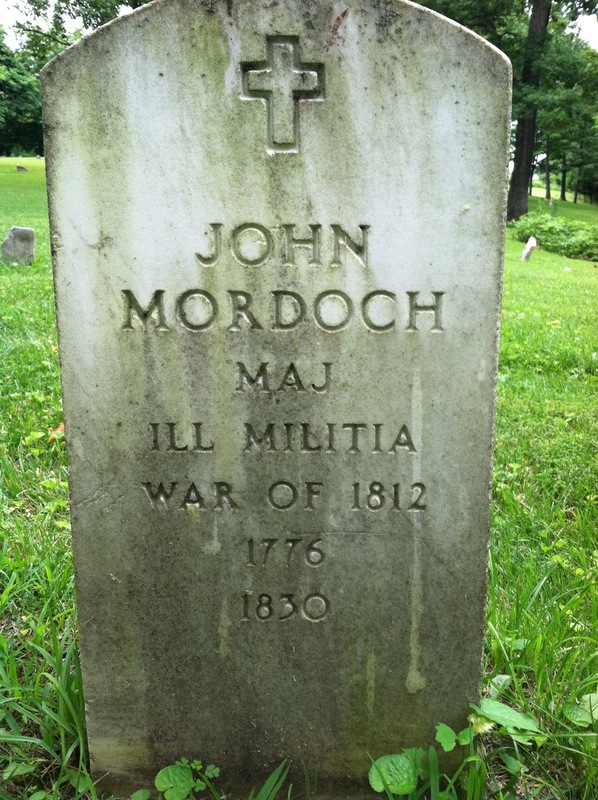 John Moredock (1776-1830) [alternate spellings: Murdock, Murdoch, Moredoch] was the son of a woman who was married several times, and was as often widowed by the tomahawk of the savage. Her husbands had been pioneers, and with them she had wandered from one territory to another, living always on the frontier. She was at last left a widow, at Vincennes, with a large family of children, and was induced to join a party about to remove to Illinois, to which region a few American families had then recently removed. 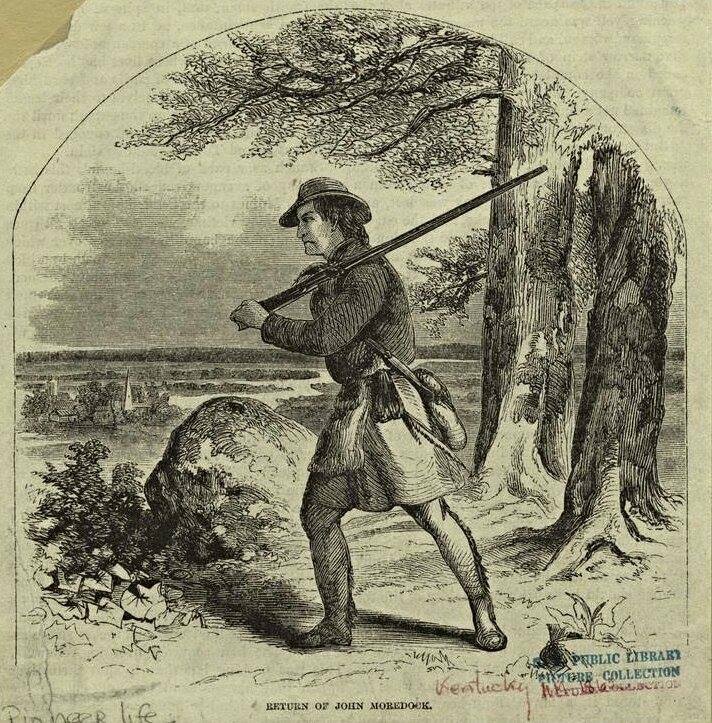 On the eastern side of Illinois there were no settlements of whites; on the shore of the Mississippi a few spots were occupied by the French; and it was now that our own backwoodsmen began to turn their eyes to this delightful country, and determined to settle in the vicinity of the French villages. Mrs. Moredock and her friends embarked at Vincennes in boats, with the intention of descending the Wabash and Ohio rivers, and ascending the Mississippi. 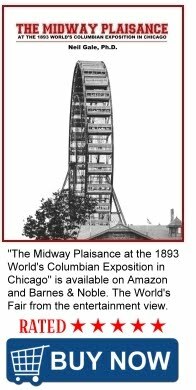 They proceeded in safety until they reached the Grand Tower on the Mississippi, where, owing to the difficulty of the navigation for ascending boats, it became necessary for the boatmen to land, and drag their vessels round a rocky point, which was swept by a violent current. Here a party of Indians, lying in wait, rushed upon them, and murdered the whole party. Mrs. Moredock was among the victims, and all her children, except John, who was proceeding with another party. John Moredock was just entering upon the years of manhood, when he was thus left in a strange land, the sole survivor of his race. He resolved upon executing vengeance, and immediately took measures to discover the actual perpetrators of the massacre. It was ascertained that the outrage was committed by a party of twenty or thirty Indians, belonging to different tribes, who had formed themselves into a lawless predatory band. Moredock watched the motions of this band for more than a year, before an opportunity suitable for his purpose occurred. At length he learned, that they were hunting on the Missouri side of the river, nearly opposite to the recent settlements of the Americans. He raised a party of young men and pursued them; but that time they escaped. Shortly after, he sought them at the head of another party, and had the good fortune to discover them one evening, on an island, whither they had retired to encamp the more securely for the night. Moredock and his friends, about equal in numbers to the Indians, waited until the dead of night, and then landed upon the island, turning adrift their own canoes and those of the enemy, and determined to sacrifice their own lives, or to exterminate the savage band. They were completely successful. Only three of the Indians escaped, by throwing themselves into the river; the rest were slain, while the whites lost not a man. But Moredock was not satisfied while one of the murderers of his mother remained. He had learned to recognize the names and persons of the three that had escaped, and these he pursued with secret, but untiring diligence, until they all fell by his own hand. Nor was he yet satisfied. He had now become a hunter and a warrior. He was a square-built, muscular man, of remarkable strength and activity. In athletic sports he had few equals; few men would willingly have encountered him in single combat. He was a man of determined courage, and great coolness and steadiness of purpose. He was expert in the use of the rifle and other weapons; and was complete master of those wonderful and numberless expedients by which the woodsman subsists in the forest, pursues the footsteps of an enemy with unerring sagacity, or conceals himself and his design from the discovery of a watchful foe. He had resolved never to spare an Indian, and though he made no boast of this determination, and seldom avowed it, it became the ruling passion of his life. He thought it praiseworthy to kill an Indian; and would roam through the forest silently and alone, for days and weeks, with this single purpose. A solitary red man, who was so unfortunate as to meet him in the woods, was sure to become his victim; if he encountered a party of the enemy, he would either secretly pursue their footsteps until an opportunity for striking a blow occurred, or, if discovered, would elude them by his superior skill. He died an old man, and it is supposed never in his life failed to embrace an opportunity to kill a savage. The reader must not infer, from this description, that Colonel Moredock was unsocial, ferocious, or by nature cruel. On the contrary, he was a man of warm feelings, and excellent disposition. At home he was like other men, conducting a large farm with industry and success, and gaining the good will of all his neighbours by his popular manners and benevolent deportment. He was cheerful, convivial, and hospitable; and no man in the territory was more generally known, or more universally respected. He was an officer in the ranging service during the war of 1813-14, and acquitted himself with credit; and was afterwards elected to the command of the militia of his county, at a time when such an office was honourable, because it imposed responsibility, and required the exertion of military skill. Colonel Moredock was a member of the legislative council of the territory of Illinois, and at the formation of the state government, was spoken of as a candidate for the office of governor, but refused to permit his name to be used. Moredock's tragic story and insatiable thirst for revenge mark him as a complex character shaped by the hard realities of pre-statehood Illinois. John Moredock is buried in the Miles Cemetery, Monroe County, Illinois. From "Sketches of History, Life, and Manners, in the West."